Here’s my second submission for the 12 Days of Christmas Nail Art Challenge through the Challenge Your Nail Art group. This is for the “Snow Day” prompt, which was technically for the first day of the challenge. But in addition to my general difficulty with following directions, I seem to have a problem posting on the correct day as well. Hakuna matata? For this mani, I started off with a base of Pepper Pot Polish “Sweater Weather” and then added some stamping. 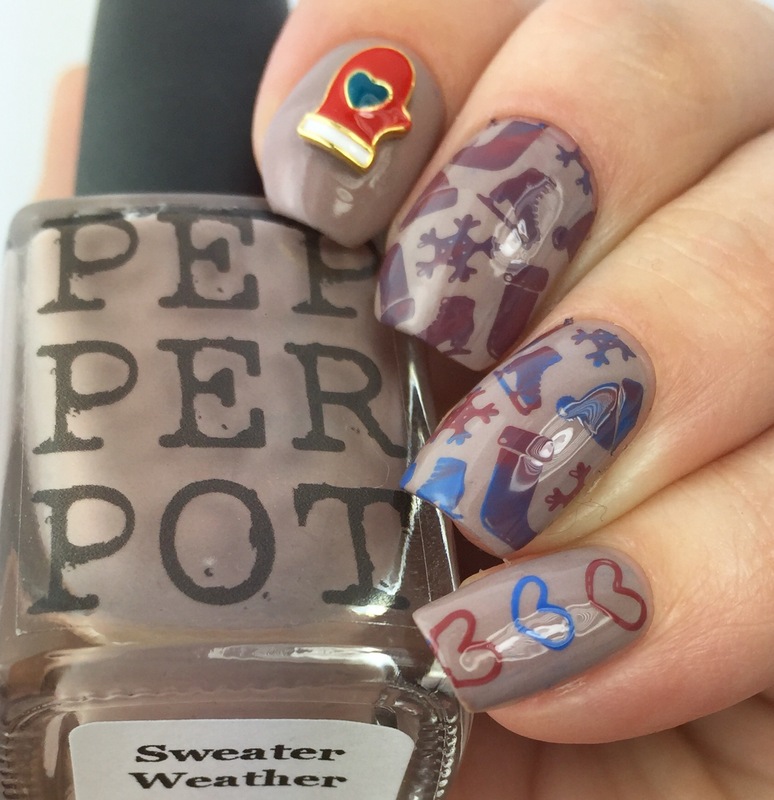 The reddish shimmer in “Sweater Weather” inspired me to go with a blue and red palette for the stamping. 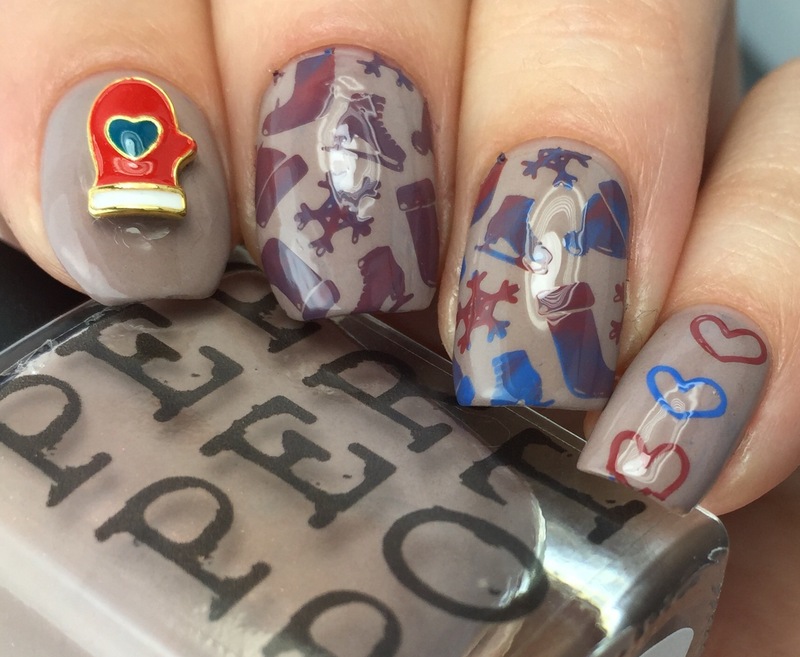 For the stamping, I used MoYou London’s “Blue Jay” and “Maroon” stamping polishes (which worked really well) and Uber Chic’s Christmas plate (I’m obsessed). For a fun accent, I used a cute mitten charm from the Daily Charme store. This is my first foray into nail charms, and I really like how fast Daily Charme shipped them out to me. 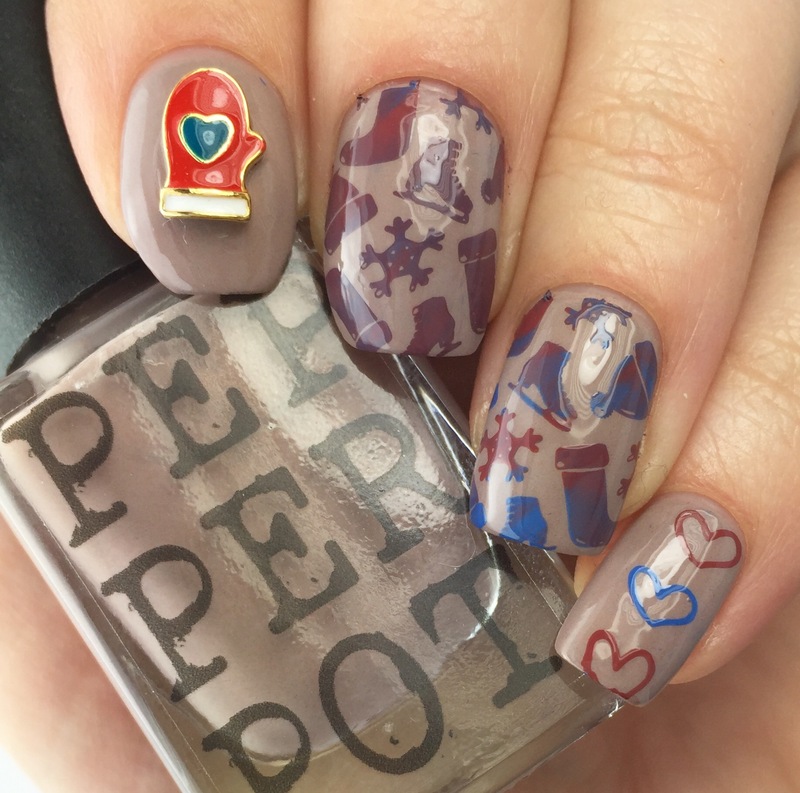 I wanted to mix things up with the stamping a little bit, so I put both the blue and red polishes on the plate, so that the scraping step would mix them together. The first time it worked pretty well. The second time I second guessed myself and scraped twice, muddling the colors a little bit. I kind of dig the less on-the-nose holiday aspect of this in terms of colors and design. To be fair, I bought the mitten charm because I didn’t know how long my order would take to ship and didn’t want to buy only super Christmas charms and then get them after the holiday. But hey, it worked out! I think how the colors turned out makes it look very cozy! Ooh! I love the marblized stamping…great color choices! !